Three hospitals reported that six men and women had died or arrived with fatal injuries after jumping from the office block. They included a Sri Lankan man whose body was taken to the army’s Kurmitola Hospital. “Teams have entered the building and they are scouring the floors for any remaining victims. 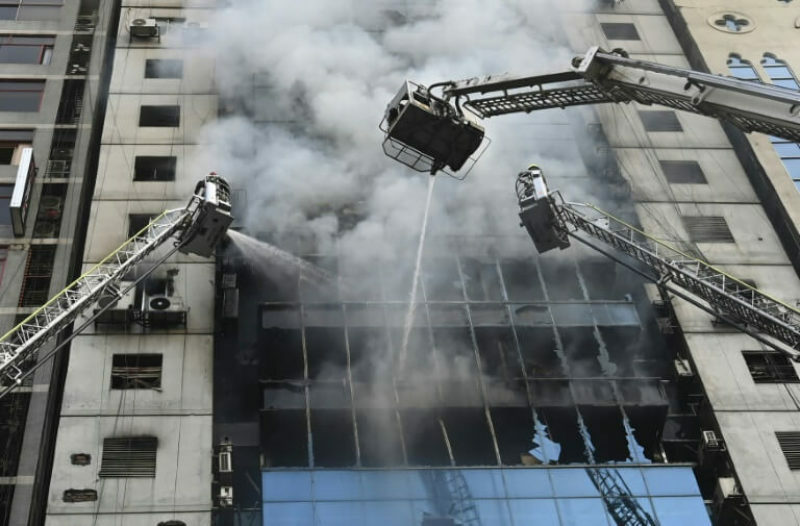 The building did not have fire fighting equipment,” said Lieutenant Colonel Julfikar Rahman of the Dhaka fire service told reporters. Some workers told of risky escapes. “My uncle and two more people jumped from their floor. His hand and leg are broken and his eye is damaged,” one man said without giving his name. A massive blaze in Dhaka’s old quarter on February 21 killed at least 70 people and injured 50 others.